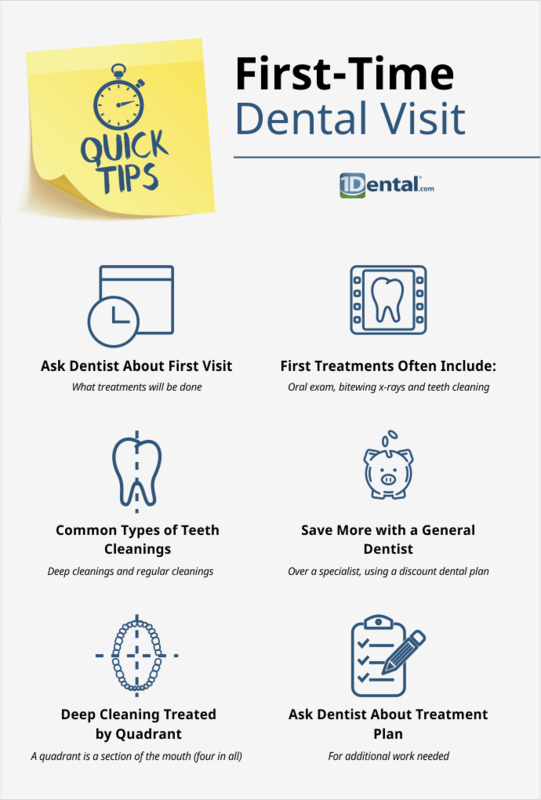 A first-time dental visit to a new dentist can be intimidating, but it’s crucial for establishing routine visits for your dental health. The following pages include sample bills you might receive from a general dentist after your first dental visit using the Careington Care 500 dental plan. Unlike dental insurance, you do not need to wait for approval of these prices. Our discount dental plans offer you direct savings at your visit, so the prices you’ll see listed, or on your particular dental bill, are the prices you would pay directly to your dentist at the time of your visit. Who Needs to See the Dentist?